Cartel gunmen murdered a municipal police director from the Mexican city of Cuauhtémoc, Chihuahua, while driving into the state capital on Tuesday. The attack occurred at approximately 2 p.m. as he drove his duty vehicle along the highway into the city of Chihuahua accompanied by a bodyguard who gunmen also murdered. The police director, later identified as Efrén Peñaflores Rodríguez, and his bodyguard Leobardo Alejandro López Rivera drove from the city of Cuauhtémoc to the state’s capital in an unmarked white Dodge pickup when they were blocked by a Nissan vehicle. Several gunmen armed with rifles dismount executed the blockade and approached the director’s vehicle. The gunmen opened fire instantly, killing López Rivera and mortally wounding Peñaflores Rodríguez. The wounded police director later died from his wounds while on the way to the hospital. The gunmen fled from the area without being captured, according to witnesses and police officials as reported by local media. Responding crime scene investigators recovered a total of 30 expended shell casings at the scene. Authorities also reviewed surveillance cameras to assist with the investigation. Chihuahua Attorney General’s Office investigators handled the primary investigation. Approximately 24 hours later, Chihuahua Governor Javier Corral announced the arrests of four suspects — at least two of whom were from the state of Durango. Police found the four suspects in possession of the same caliber rifles that were used for the murder of the police chief and his bodyguard. The arrests took place after state police investigators identified a residence believed to be associated with the suspects. Breitbart Texas had previously reported on the November 2018 arrest of Director Peñaflores Rodríguez and 13 of his agents after state investigators raided the department and accused the chief of various administrative irregularities and possessing firearms without the proper credentials. Local media reported that the director and his personnel had locked themselves in his office. The investigators had to force entry after the director refused to open the door. A local judge dismissed the charges levied against the director. The director and his personnel returned to service. El Cartel del Tigre is a cell of the Sinaloa Cartel and the interrogation video was believed to be part of the ongoing war between El Nuevo Cartel de Juárez/La Línea and the El Cartel del Tigre. Breitbart News previously reported on the capture of Julio Cesar “El Tigre” Escarcega Murillo, who was the leader of El Cartel del Tigre and previously served as a former Cuauhtémoc municipal police officer from 2004-2007. 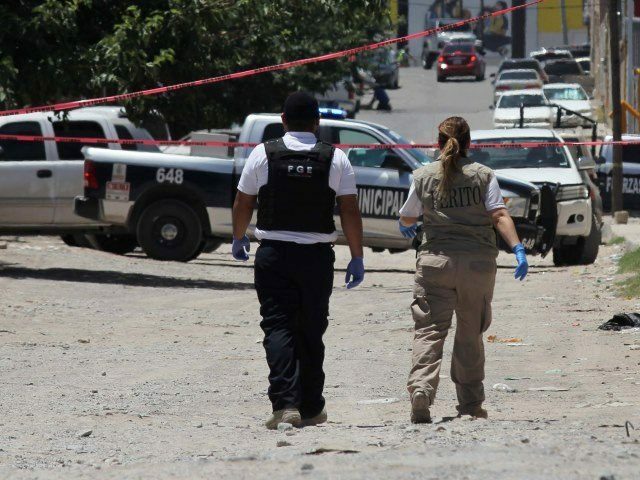 The murder occurred during the same week that cartel gunmen in Piedras Negras, Coahuila, attacked and tried to kill the city’s police chief, Breitbart News’ Cartel Chronicles reported.